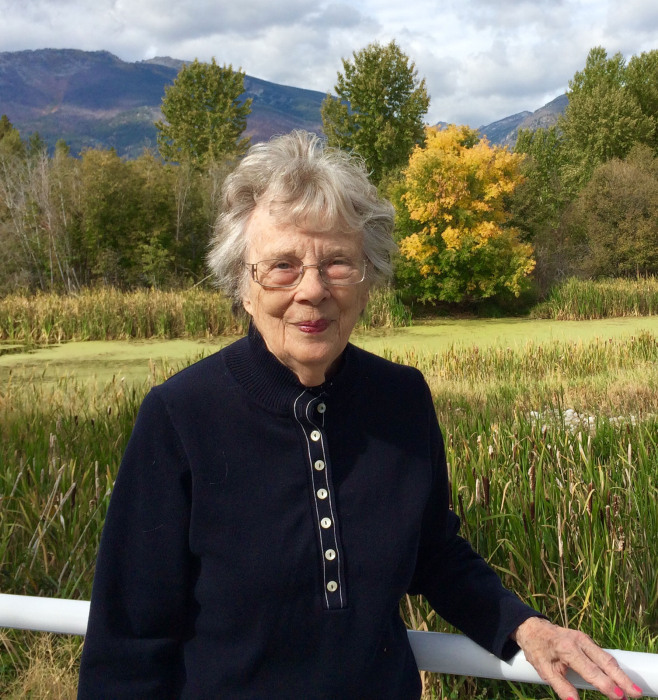 CORVALLIS - Patricia Lee Berglund, “Pat”, age 85, passed away peacefully in Corvallis, Montana on February 4, 2019. She was born on October 18, 1933 in Dayton, Washington to Martin and Nancy Sather. Pat grew up in Presho, South Dakota and graduated from Presho High School in 1950. She attended the University of South Dakota and was a member of Kappa Alpha Theta. She received her Bachelors Degree in History, with a minor in English. In July 1955, Pat married her college sweetheart Charles Berglund in Presho. Pat taught middle school and high school for Los Angeles Unified School district for 20 years, and then pursued careers in computer sales until retirement in 1992. Throughout retirement, Pat enjoyed volunteering at Ravalli County Museum and PIT program in Hamilton, Montana. She also volunteered at the Angel Shop in Fallbrook, CA. She was a member of PEO Chapter AZ and the Red Hat Society. Pat was preceded in death by her husband of 58 years, Charles Berglund, parents Martin and Nancy Sather and sister Sally Sather. Pat is survived by her children, John (Rhonda) Berglund of Hamilton, MT and Laurie (Craig) Ilg of Camarillo, CA; grandchildren, Katelyn (Devin) Thompson, Dylan and Dawson Berglund; sister, Karen Kelly; nieces and nephews and dear friends. A celebration of Pat’s life will be planned at a future date. In lieu of flowers, the family suggests memorial donations be made to the Alzheimer’s Association or Hospice Association of your choice. Condolences may be left for the family at www.dalyleachchapel.com.